British brand Jacques Vert is not one I normally wear. To me, it had connotations of the mother of the bride and has always seemed, dare I say it, rather frumpy. Not a look I aspire towards. However, the brand is undergoing a revamp so with fresh eyes I have discovered some absolute gems. There are several pieces that women younger than the perceived target market could style and accessorise to look anything but frumpy. 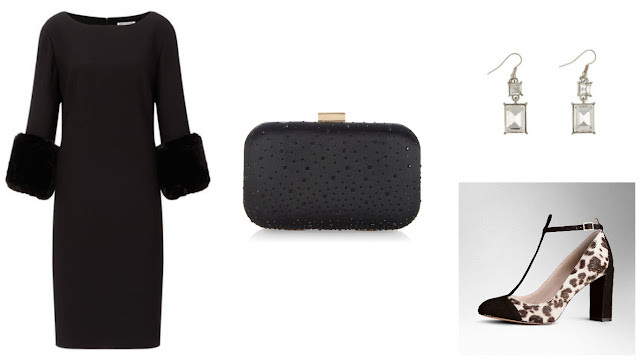 A collaboration with Lorcan Mullany has produced a collection of cocktail dresses, evening gowns and separates perfect for the party season. Mullany spent 25 years designing for the legendary fashion house, Bellville Sassoon and has made clothes for, among many others, Princess Diana and Helen Mirren. I have selected a pair of trousers, a dress and a top from this collection and presented them with a few inspirational styling ideas. 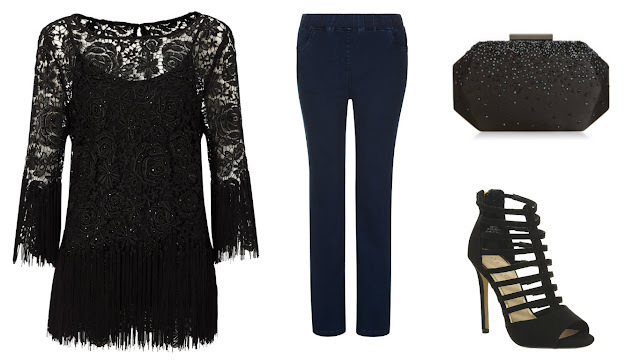 The Lorcan Mullany chiffon trousers can be styled to look like a jumpsuit when worn with a chiffon sleeved jumper. This season’s pointed flats and a bracelet from Jacques Vert, keeps the look streamlined and elegant with a touch of sport luxe. The Lorcan Mullany faux fur cuff shift dress needs little extra to make it look special. 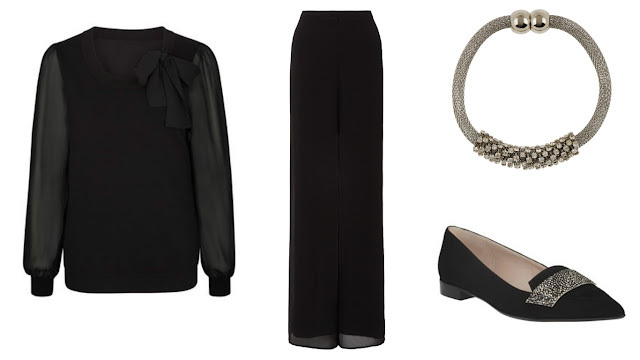 Keep it simple and echo the shape of cuffs with rectangular earrings, clutch and boxy heels. The Lorcan Mullany tassle tunic is the ultimate party top and has a hint of the roaring 20s about it. An art deco style clutch reflects this while skinny jeans and killer heels make this very much an outfit of the moment. My latest blog posts have been about my birthday. There’s just one more celebration left when later this week, I’m cooking for my girlfriends, three of whom also celebrate birthdays around this time. It has become something of a tradition and one I very much look forward to. As part of a collaboration with Jacques Vert, I have one of these three Lorcan Mullany pieces which I’ll be wearing and I absolutely can’t wait. Next Post Outfit: Braintree Floral Dress and Purple Brogues.